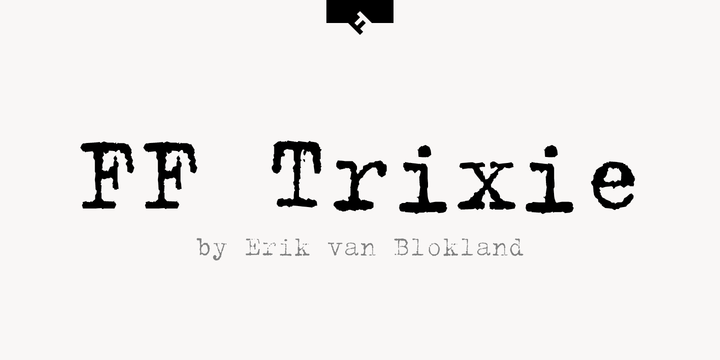 FF Trixie is a typeface created by Erik van Blokland and published by FontFont which was designed along 17 years. FF Trixie complete family pack is available in 12 styles, created for typographical projects, a wide range of figures set options and OpenType features. FF Trixie HD has 7 alternates for each glyph. Also it has multilingual support. It is suitable for editorial, publishing, packaging, branding, poster and so on. You cannot miss! Note: Trixie is a trademark of Monotype GmbH registered in the U.S. Patent and Trademark Office and may be registered in certain jurisdictions. FF is a trademark of Monotype GmbH registered in the U.S. Patent and Trademark Office and may be registered in certain other jurisdictions. Price: starting from $79 for one font to $804 for all 12 fonts. A font description published on Tuesday, October 18th, 2016 in Erik van Blokland, FontFont, Fonts by Alexandra that has 2,628 views.